It is time that we stop bashing Obama for his perceived lack of accomplishments. That he has none is a fallacy. 4. First President to preside over a cut to the credit-rating of the United States. 5. First President to violate the War Powers Act. 6. First President to be held in contempt of court for illegally obstructing oil drilling in the Gulf of Mexico. 7. First President to require all Americans to purchase a product from a third party. 8. First President to spend a trillion dollars on “shovel-ready” jobs when there was no such thing as “shovel-ready” jobs. 9. First President to abrogate bankruptcy law to turn over control of companies to his union supporters. 10. First President to by-pass Congress and implement the Dream Act through executive fiat. 11. First President to order a secret amnesty program that stopped the deportation of illegal immigrants across the U.S., including those with criminal convictions. 12. First President to demand a company hand-over $20 billion to one of his political appointees. 13. First President to tell a CEO of a major corporation (Rick Wagoner of GM) to resign. 14. First President to terminate America’s ability to put a man in space. 15. First President to cancel the National Day of Prayer and to say that America is no longer a Christian nation. 16. First President to have a law signed by an auto-pen without being present. 17. First President to arbitrarily declare an existing law unconstitutional and refuse to enforce it. 18. First President to threaten insurance companies if they publicly spoke out on the reasons for their rate increases. 19. First President to tell a major manufacturing company in which state it is allowed to locate a factory. 20. First President to file lawsuits against the states he swore an oath to protect (AZ, WI, OH, IN). 21. First President to withdraw an existing coal permit that had been properly issued years ago. 22. First President to actively try to bankrupt an American industry (coal). 23. First President to fire an inspector general of AmeriCorps for catching one of his friends in a corruption case. 24. First President to appoint 45 czars to replace elected officials in his office. 25. First President to surround himself with radical left wing anarchists. 26. First President to go golfing more than 150 times in his eight years in office. 27. First President to hide his birth, medical, educational and travel records. 28. First President to win a Nobel Peace Prize for doing NOTHING to earn it. 29. First President to go on multiple “global apology tours” and concurrent “insult our friends” tours. 30. First President to go on over 17 lavish vacations, in addition to date nights and Wednesday evening White House parties for his friends paid for by the taxpayers. 31. First President to have personal servants (taxpayer funded) for his wife. 32. 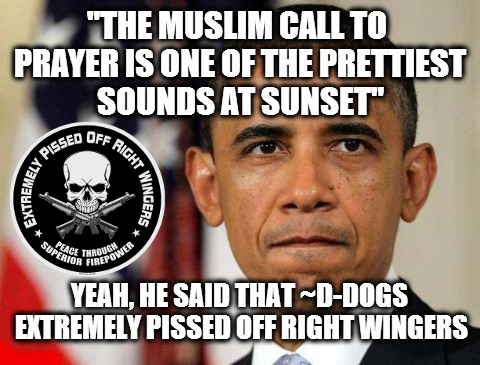 First President to keep a dog trainer on retainer for $102,000 a year at taxpayer expense. 33. First President to fly in a personal trainer from Chicago at least once a week at taxpayer expense. 34. First President to repeat the Quran and tell us the early morning call of the Azan (Islamic call to worship) is the most beautiful sound on earth. 35. First President to side with a foreign nation over one of the American 50 states (Mexico vs Arizona). 37. Then he was the First President to tell the members of the military that THEY were UNPATRIOTIC for balking at the last suggestion. Quite impressive a list, is it not? John Paul Stevens is still wrong about District of Columbia v. Heller. In a recent interview with The New York Times regarding his upcoming memoir, former Supreme Court Justice John Paul Stevens shares what he contends are the three worst court decisions to come down during his long tenure. His first choice, unsurprisingly, is District of Columbia v. Heller, the 2008 ruling that finally codified the Second Amendment as an individual right. Both these justices rely on an expedient revisionist history to make their claims. This effort was spearheaded by left-wing historians who attempted to retroactively dismiss the ubiquitous presence of guns in American life and the role firearms played in the rise of a nation. It was taken up by anti-firearm activists and journalists who have used that revisionist history to dismiss the overwhelming evidence that the founding generation believed individual Americans had an inherent right to bear those arms. All of these forces fostered a “collective right” theory regarding the Second Amendment that was normalized in legal and political circles for decades. Countless judges, like Stevens, latched onto this mythology in an attempt to disarm law-abiding individuals in the name of safety. The singular purpose of the Second Amendment, they argued, was to arm militias, not individuals. For some reason, they contend, the Second Amendment, unlike most of the Bill of Rights, actually empowered the government rather than the individual. Any other interpretation was an antiquated and destructive reading of the past. But history has never backed up this contention — not then, and not now. The notion of individual ownership of firearms was so unmistakable and so omnipresent in colonial days—and beyond—that Americans saw no more need to debate its existence than they did the right to drink water or breathe the air. Not a single Minuteman was asked to hand his musket over to the Continental Congress after chasing the British back to Boston. If they had been, the Revolution would have been short-lived, indeed. The debate over the Second Amendment centered on who controlled the militias: the federal or state governments. Everyone understood that a militia consisted of free individuals who would almost always grab their own firearms—the ones they used in their everyday existence—to engage in a concerted effort to protect themselves, their community, or their country — sometimes from their own government. Many colonies enshrined an individual’s right to bear arms in their constitutions before the Bill of Rights was even written, most of them in more explicit individualistic terms. Not a single Framer objected. During the 19th century, there was still no need to debate whether the Second Amendment was an individual right. The right of an individual to bear arms had been so self-evident that on the rare occasions it was mentioned in any kind of political or legal context, it was brought up to compare American liberty with tyranny elsewhere. Adams concurred with this thinking. An armed citizenry would not be susceptible to tyranny. Contemporary liberals often view this form of anti-government rhetoric and reasoning at best distasteful and at worst an endorsement of treason. Of course, despite our many political battles, there is no need for armed insurrection today. What contemporary critics fail to comprehend, however, is that the founding generation believed those who would undermine the universal and inalienable liberties of the people laid out in the Constitution—whether they were in the government or not—are the ones committing sedition. The individual right to bear arms wasn’t challenged during the Civil War era, when manufacturing capacity and industrialization of the Union—spurred in part by gun innovators like Sam Colt—not only helped create superior armaments and technology that helped defeat the Confederacy but also made guns more widespread than ever. During the 1800s, firearm innovation permitted the common man to buy more powerful guns more cheaply. These were the guns Americans used to explore, tame, and ultimately populate the West. This project, with all its moral implications, both admirable and sometimes ugly, made the United States the most powerful economic power on earth. Never once did anyone contest the right of individual men (and plenty of women) to own guns. It’s true, a number of municipalities in the West enacted the occasional local gun ordinance in their red districts. Gun controllers love to cobble together these rare, narrow and tepid prohibitions to create the impression that there was widespread gun control. Not one of these regulations ever challenged the idea of a man’s individual right to own a Remington, Colt, Winchester, or any other gun. Or as many guns as he liked. When weapons were confiscated by authorities, it was typically in an effort to subjugate minorities — mostly blacks, Native Americans, and others who happen to get in the way of corrupt politicians. When one of the sponsors of the 14th Amendment made his argument for equal protection, it was no accident that he brought up vital “individual right” laid out in the Second Amendment. Not one person objected to say it was a collective right. It wasn’t until the rise of criminality in the 1930s that there was any federal gun law—and even then, no one made the legal or political argument for the collective theory. It wasn’t until the late 1960s that the left adopted this imaginary understanding of a natural right. The fact that Stevens’ messy, historically challenged dissent couldn’t persuade Scalia, or anyone else, is unsurprising. Stevens’ feelings about guns or gun violence do not erase the fact that, both in English common law and in American life, the individual right to self-defense goes back farther than our right to a free press and to freedom of religion. Yet, the fact that the Heller, a decision that invalidated a federal law prohibiting law-abiding citizens from owning a handguns in some of the most crime-ridden neighborhoods in America, bothers Stevens more than any other tells us plenty about his legacy. 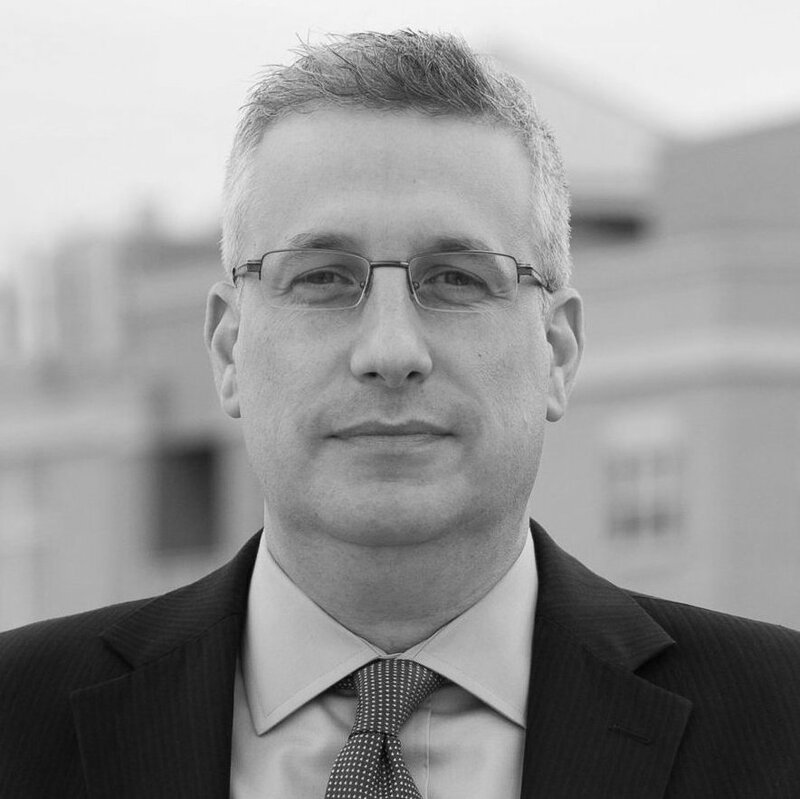 David Harsanyi is a Senior Editor at The Federalist. He is the author of the new book, First Freedom: A Ride Through America’s Enduring History with the Gun, From the Revolution to Today. by Land & Livestock Interntional, Inc. The citizenry’s unquestioning acquiescence to anything the government wants to do in exchange for the phantom promise of safety and security has resulted in a society where the nation is being locked down into a militarized, mechanized, hypersensitive, legalistic, self-righteous, goose-stepping antithesis of every principle upon which this nation was founded…This is not freedom…This is a jail cell. Life in a post-9/11 America increasingly feels like an endless free fall down a rabbit hole into a terrifying, dystopian alternative reality in which the citizenry has no rights, the government is no friend to freedom, and everything we ever knew and loved about the values and principles that once made this country great has been turned on its head. We’ve walked a strange and harrowing road since September 11, 2001, littered with the debris of our once-vaunted liberties. We have gone from a nation that took great pride in being a model of a representative democracy to being a model of how to persuade the citizenry to march in lockstep with a police state. These past 17 years have proven Bin Laden right in his prediction. What began with the passage of the USA Patriot Act in October 2001 has snowballed into the eradication of every vital safeguard against government overreach, corruption and abuse. The citizenry’s unquestioning acquiescence to anything the government wants to do in exchange for the phantom promise of safety and security has resulted in a society where the nation is being locked down into a militarized, mechanized, hypersensitive, legalistic, self-righteous, goose-stepping antithesis of every principle upon which this nation was founded. This is a jail cell. Free speech, the right to protest, the right to challenge government wrongdoing, due process, a presumption of innocence, the right to self-defense, accountability and transparency in government, privacy, press, sovereignty, assembly, bodily integrity, representative government: all of these and more have become casualties in the government’s war on the American people, a war that has grown more pronounced since 9/11. Since the towers fell on 9/11, the American people have been treated like enemy combatants, to be spied on, tracked, scanned, frisked, searched, subjected to all manner of intrusions, intimidated, invaded, raided, manhandled, censored, silenced, shot at, locked up, and denied due process. In allowing ourselves to be distracted by terror drills, foreign wars, color-coded warnings, underwear bombers and other carefully constructed exercises in propaganda, sleight of hand, and obfuscation, we failed to recognize that the true enemy to freedom was lurking among us all the while. The U.S. government now poses a greater threat to our freedoms than any terrorist, extremist or foreign entity ever could. While nearly 3,000 people died in the 9/11 attacks, the U.S. government and its agents have easily killed at least ten times that number of civilians in the U.S. and abroad since 9/11 through its police shootings, SWAT team raids, drone strikes and profit-driven efforts to police the globe, sell weapons to foreign nations, and foment civil unrest in order to keep the military industrial complex gainfully employed. No, the U.S. government is not the citizenry’s friend, nor is it our protector, and life in the United States of America post-9/11 is no picnic. I don’t like being treated as if my only value to the government is as a source of labor and funds. I don’t like being viewed as a consumer and bits of data. I don’t like being spied on and treated as if I have no right to privacy, especially in my own home. I don’t like government officials who lobby for my vote only to ignore me once elected. I don’t like having representatives incapable of and unwilling to represent me. I don’t like taxation without representation. I don’t like being bullied by government bureaucrats, vigilantes masquerading as cops, or faceless technicians. I don’t like being railroaded into financing government programs whose only purpose is to increase the power and wealth of the corporate elite. I don’t like being forced to pay for wars abroad that serve no other purpose except to expand the reach of the military industrial complex. I don’t like being subjected to scans, searches, pat downs and other indignities by the TSA. I don’t like VIPR raids on so-called “soft” targets like shopping malls and bus depots by black-clad, Darth Vader look-alikes. I don’t like fusion centers, which represent the combined surveillance efforts of federal, state and local law enforcement. I don’t like being treated like an underling by government agents who are supposed to be working for me. I don’t like being threatened, intimidated, bribed, beaten and robbed by individuals entrusted with safeguarding my rights. I don’t like being silenced, censored and marginalized. I don’t like my movements being tracked, my conversations being recorded, and my transactions being catalogued. I don’t like free speech zones, roving bubble zones and trespass laws that restrict Americans’ First Amendment rights. I don’t like laws that criminalize Americans for otherwise lawful activities such as holding religious studies at home, growing vegetables in their yard, and collecting rainwater. I don’t like the NDAA, which allows the president and the military to arrest and detain American citizens indefinitely. I don’t like the Patriot Act, which opened the door to all manner of government abuses and intrusions on our privacy. I don’t like the Department of Homeland Security (DHS), which has become America’s standing army in direct opposition to the dire warnings of those who founded our country. I don’t like military weapons such as armored vehicles, sound cannons and the like being used against the American citizens. I don’t like government agencies such as the DHS, Post Office, Social Security Administration and Wildlife stocking up on hollow-point bullets. And I definitely don’t like the implications of detention centers being built that could house American citizens. I don’t like America’s infatuation with locking people up for life for non-violent crimes. There are thousands of people in America serving life sentences for non-violent crimes, including theft of a jacket, siphoning gasoline from a truck, stealing tools, and attempting to cash a stolen check. I don’t like paying roughly $29,000 a year per inmate just to keep these nonviolent offenders in prison. I don’t like having my hard-earned taxpayer dollars used against me. I don’t like the partisan nature of politics today, which has so polarized Americans that they are incapable of standing in unity against the government’s abuses. I don’t like the entertainment drivel that passes for news coverage today. I don’t like the fact that those within a 25-mile range of the border are getting a front row seat to the American police state, as Border Patrol agents are now allowed to search people’s homes, intimately probe their bodies, and rifle through their belongings, all without a warrant. I don’t like public schools that treat students as if they were prison inmates. I don’t like zero tolerance laws that criminalize childish behavior. I don’t like a public educational system that emphasizes rote memorization and test-taking over learning, synthesizing and critical thinking. I don’t like police precincts whose primary purpose—whether through the use of asset forfeiture laws, speed traps, or red light cameras—is making a profit at the expense of those they have sworn to protect. I don’t like militarized police and their onerous SWAT team raids. I don’t like Department of Defense and DHS programs that transfer surplus military hardware to local and state police. I don’t like local police dressing and acting as if they were the military while viewing me as an enemy combatant. I don’t like government programs that reward cops for raiding homes and terrorizing homeowners. I don’t like being treated as if I have no rights. I don’t like cash-strapped states cutting deals with private corporations to run the prisons in exchange for maintaining 90% occupancy rates for at least 20 years. I don’t like the fact that American prisons have become the source of cheap labor for Corporate America. I don’t like answering to an imperial president who operates above the law. I don’t like the injustice that passes for justice in the courts. I don’t like prosecutors so hell bent on winning that they allow innocent people to suffer for crimes they didn’t commit. I don’t like the double standards that allow government officials to break laws with immunity, while average Americans get the book thrown at them. I don’t like cops who shoot first and ask questions later. I don’t like police dogs being treated with more respect and afforded more rights than American citizens. I don’t like living in a suspect society. I don’t like Americans being assumed guilty until they prove their innocence. I don’t like technology being used as a double-edged sword against us. Most of all, I don’t like feeling as if there’s no hope for turning things around. Now there are those who would suggest that if I don’t like things about this country, I should leave and go elsewhere. Certainly, there are those among my fellow citizens who are leaving for friendlier shores. However, I’m not giving up on this country without a fight. Our country may be in deep trouble, but all is not yet lost. The first step begins with you. 1. Get educated. Know your rights. Take time to read the Constitution. Study and understand history because the tales of those who seek power and those who resist them is an age-old one. The Declaration of Independence is a testament to this struggle and the revolutionary spirit that overcame tyranny. Understand the vital issues of the day so that you can be cognizant of the threats to freedom. Stay informed about current events and legislation. 2. Get involved. Become actively involved in local community affairs, politics and legal battles. As the adage goes, “Think nationally, act locally.” America was meant to be primarily a system of local governments, which is a far cry from the colossal federal bureaucracy we have today. Yet if our freedoms are to be restored, understanding what is transpiring practically in your own backyard—in one’s home, neighborhood, school district, town council—and taking action at that local level must be the starting point. Responding to unmet local needs and reacting to injustices is what grassroots activism is all about. Getting involved in local politics is one way to bring about change. 3. Get organized. Understand your strengths and weaknesses and tap into your resources. Play to your strengths and assets. Conduct strategy sessions to develop both the methods and ways to attack the problem. Prioritize your issues and battles. Don’t limit yourself to protests and paper petitions. Think outside the box. Time is short, and resources are limited, so use your resources in the way they count the most. 4. Be creative. Be bold and imaginative, for this is guerilla warfare—not to be fought with tanks and guns but through creative methods of dissent and resistance. Creatively responding to circumstances will often be one of your few resources if you are to be an effective agent of change. Every creative effort, no matter how small, is significant. 5. Use the media. Effective use of the media is essential. Attracting media coverage not only enhances and magnifies your efforts, it is also a valuable education tool. It publicizes your message to a much wider audience. 6. Start brushfires for freedom. Take heart that you are not alone. You come from a long, historic line of individuals who have put their beliefs and lives on the line to keep freedom alive. Engage those around you in discussions about issues of importance. Challenge them to be part of a national dialogue. As I have often said, one person at a city planning meeting with a protest sign is an irritant. Three individuals at the same meeting with the same sign are a movement. You will find that those in power fear and respect numbers. This is not to say that lone crusaders are not important. There are times when you will find yourself totally alone in the stand you take. However, there is power in numbers. Politicians understand this. So get out there and start drumming up support for your cause. 7. Take action. Be prepared to mobilize at a moment’s notice. It doesn’t matter who you are, where you’re located or what resources are at your disposal. What matters is that you recognize the problems and care enough to do something about them. Whether you’re 8, 28 or 88 years old, you have something unique to contribute. You don’t have to be a hero. You just have to show up and be ready to take action. 8. Be forward-looking. Beware of being so “in the moment” that you neglect to think of the bigger picture. Develop a vision for the future. Is what you’re hoping to achieve enduring? Have you developed a plan to continue to educate others about the problems you’re hoping to tackle and ensure that others will continue in your stead? Take the time to impart the value of freedom to younger generations, for they will be at the vanguard of these battles someday. 9. Develop fortitude. What is it that led to the successful protest movements of the past headed by people such as Martin Luther King Jr.? Resolve. King refused to be put off. And when the time came, he was willing to take to the streets for what he believed and even go to jail if necessary. King risked having an arrest record by committing acts of nonviolent civil disobedience. A caveat is appropriate here. Before resorting to nonviolent civil disobedience, all reasonable alternatives should be exhausted. If there is an opportunity to alter the course of events through normal channels (for example, negotiation, legal action or legislation), they should be attempted. 10. Be selfless and sacrificial. Freedom is not free—there is always a price to be paid and a sacrifice to be made. If any movement is to be truly successful, it must be manned by individuals who seek a greater good and do not waver from their purposes. It will take boldness, courage and great sacrifice. Rarely will fame, power and riches be found at the end of this particular road. Those who travel it inevitably find the way marked by hardship, persecution and strife. Yet there is no easy way. 11. Remain optimistic and keep hope alive. Although our rights are increasingly coming under attack, we still have certain freedoms. As I make clear in my book Battlefield America: The War on the American People, we can still fight back. We have the right to dissent, to protest and even to vigorously criticize or oppose the government and its laws. The Constitution guarantees us these rights. In a country such as the United States, a citizen armed with a knowledge of the Bill of Rights and the fortitude to stand and fight can still be a force to be reckoned with, but it will mean speaking out when others are silent. Practice persistence, along with perseverance, and the possibilities are endless. You can be the voice of reason. Use your voice to encourage others. Much can be accomplished by merely speaking out. Oftentimes, all it takes is one lone voice to get things started. So if you really care and you’re serious and want to help change things for the better, dust off your First Amendment tools and take a stand—even if it means being ostracized by those who would otherwise support you. It won’t be easy, but take heart. And don’t give up. Mexican national Heraclio Osorio-Arellanes, who has been charged with the first-degree murder of Border Patrol agent Brian Terry, was extradited to the United States Tuesday night for prosecution by the Department of Justice. Osario-Arellanes was arrested by Mexican authorities in April 2017. Agent Terry’s sister, Kelly Terry-Willis, posted about the news on Facebook. Agent Terry was murdered on December 14, 2010 patrolling Rico Valley, Arizona. While Osorio-Arellanes is suspected of pulling the trigger, six other men have also been charged with his death. Three have pleaded guilty and two were convicted by a jury. Jesus Rosario Favela Astorga, who has been charged, is waiting to be prosecuted. According to DOJ, “the indictment charges the defendants with first-degree murder, second-degree murder, conspiracy to interfere with commerce by robbery, attempted interference with commerce by robbery, use and carrying a firearm during a crime of violence and assault on a federal officer.” The men are also being charged with assaulting Border Patrol Agents William Castano, Gabriel Fragoza and Timothy Keller, who came under fire with Terry the night he was killed. The men were part of a rip crew and used weapons to kill Terry that were purposely trafficked by the Obama Justice Department to Mexican drug cartels through Operation Fast and Furious. Osario-Arellanes will be arraigned in U.S. District Court in Tucson, Arizona, Wednesday afternoon. You may remember Mark Robinson, aka Mr. “I’m the Majority,” whose comments to his city council in Greensboro, North Carolina who were considering unlawful actions to restrict the God-given rights of the people it is supposed to serve, went viral back in April. Just this past weekend, Robinson attended a pro-gun rally on Saturday that opposed the Communist ideology of David Hogg and his handlers at the Florida state capitol in Tallahassee. His epic speech has the same goal as the young people who were aligned with Hogg, the saving of our young people’s lives, but his solution was a biblical, lawful and constitutional solution. This past Saturday, Robinson stood at the Floria state capitol and proclaimed liberty and the exercise of the God-given rights of the American people was the answer to the problem of school shooters. He then went on to recount some famous battles that were fought in American history, including Gettysburg, Fredericksburg, Antietam. While I disagree that those battles were the result of slavery nor did they actually end slavery, but just made virtually every man a slave to the federal government. Robinson then went on to point out the greatness of America at D-Day, the Battle of the Bulge, Iwo Jima, as well as other wars that were fought against Communists and Nazis. In dealing with all of this there is a common thread that runs through each of the accounts that Robinson expressed in our history: guns. Guns not only defeated tyrants, but were used to secure the liberty that was won. Robinson said that he talked loud because he wanted everyone to hear him. “It is time for the law-abiding citizens in this country to get as loud and proud with their message as the Left has with their lies,” he began. However, Robinson reminded his hearers that there is an element in all of it that many forget: Common sense. No, he wasn’t talking about the nonsensical notion of “common sense gun laws.” Robinson was talking about something more real. “There are people right here close to this state house that will cut your throat for a dollar, and they’ll do it for sure if you don’t have a way to defend yourself,” he added. Speaking to the kids, he said they needed to not only wake up, but “wake up quick,” echoing sentiments I’ve stated following the Parkland, Florida shooting back in February. The kids at the forefront such as David Hogg are nothing more than ignorant children who don’t know history and don’t know they are being used to disarm not only law-abiding American citizens, but make themselves prey for a predatorial government that is seeking to control them. Listing off such tyrants such as Lenin, Stalin, Hitler, Mao and Castro, he pointed out that they all went for the guns of the people. In reminding his hearers of why the British came that fateful night that Paul Revere rode and yelled. “The British are coming, the British are coming,” Robinson said they didn’t come to shutdown a newspaper, they came for the Colonists’ arsenal. Indeed they did. Robinson also took on the issue of open borders and pointed out that by allowing everyone in unvetted and unchecked, drugs, crime, corrupt politicians and more will follow them into this country and those supporting such notions are crying that we don’t need AR-15s and the like, but that’s exactly what will be needed by allowing such people into the country. He then pointed out something very important because stupid people like CNN’s Chris Cuomo think our rights come from government. Robinson said the Second Amendment doesn’t give us any rights. Rather, it affirms our rights. Amen! Regardless of what precipitates it, any gun debate will eventually fire up to encompass almost every aspect of firearms. This is just how it shakes out and how it will continue to shake out. This time around, for example, a school shooting has sparked a debate about how women can use a firearm to defend themselves from danger. Leave it to the anti-gunners, however, to try and argue that having a firearm makes them get hurt worse. What these arguments neglect to mention is that when women—and particularly women of color—actually do try to defend themselves against their abusers, they are frequently the ones who end up getting punished. Ah, this old chestnut that has been debunked time and time again. In particular, there’s no adjustment for lawfully-owned firearms versus criminal behavior. Women who live in the home of a criminal or are a criminal themselves are far more likely to be murdered than other women, enough so that it may well skew the results. You also can’t look at the problem of domestic violence without acknowledging the even worse problem of domestic violence within the law enforcement community. Studies have found that police officers’ partners and families experience domestic violence at a much higher rate than other families. And women who suffer abuse at the hands of police officers are often afraid to go to the police with their experience, fearing retaliation or simple inaction. This is what I like to call the “Look! A squirrel!” argument. No one is disputing that abuse happens. Regardless of where it happens, though, women have a right to self-defense, and there is no better tool for self-defense, particularly for a woman, than a firearm. Period. The story follows up with a bunch of anecdotal stories of where the system failed, where women who supposedly defended themselves against abusive men were then prosecuted for it. The point, of course, is to show just how women get screwed. Of course, the stories leave key things out. For example, the story brings up Bresha Meadows, a 14-year-old girl who shot and killed her reportedly abusive father. It talks all about how the system failed her. Consider the case of Bresha Meadows. In 2016, the 14-year-old girl fatally shot her father—a man who she, her mother, and her siblings all described as abusive. Rather than being praised for her bravery in defending her mother and siblings, Meadows was arrested and charged with aggravated murder. Prosecutors originally considered trying Meadows as an adult, which would have carried a potential sentence of 20 years to life in prison. Meadows ultimately spent 10 months in a juvenile detention center in Ohio, and was released earlier this month. However, that’s not the whole story. You see, Bresha Meadows wasn’t defending herself, according to the law as written. Oh no. What she did sure as hell looks like premeditated murder (emphasis mine). And as Jonathan Meadows slept in his living room, his daughter pulled the trigger, ending his life and dividing a family, according to interviews and a police report. The relatives of Bresha’s father called the shooting a calculated murder. Those of the girl’s mother called it the end of a husband’s nonstop pattern of emotional and physical abuse that raged on until a young girl exploded. In other words, at that moment, Meadows was not in fear of her life. Sure, she may have been terrified that someday her father would kill her, but right then he was harmless. He was asleep. She was as safe from him at that moment as she ever would be. And she shot him. Consider the case of Marissa Alexander. In 2010, the Florida mother of three fired a “warning shot” toward her abusive ex-husband to prevent him from assaulting her. Despite the fact that she was a licensed gun owner and no one was harmed by her shot, Alexander was arrested and charged with three counts of aggravated assault with a deadly weapon. There were a couple of problems here. For one, Alexander’s ex-husband was both unarmed and standing with her son when she fired at him, and there doesn’t appear to be any claims that the boy was at risk from his father. Second, the bullet from the gun doesn’t look like a “warning shot” like Alexander claimed. The fact of the matter is that, like anyone else in such a circumstance, Alexander had, and failed, to show she was in fear of her life at that moment. Past abuse doesn’t justify lethal force, and thus her Stand Your Ground defense didn’t hold up in court. The same would have happened if the genders were reversed. Despite these instances that are supposedly proof that women won’t get a fair shake from the criminal justice system if they use a gun in self-defense, bear in mind that the estimates for the defensive use of a firearm range from 100,000 per year to as many as 2.5 million. There’s no way those are all men defending themselves, either. Instead, tens of thousands to millions of women successfully defend their lives with a firearm every year and do so without the criminal justice system hammering them. The fact of the matter is that when a woman is in danger, a firearm is the best option for defending her life. Less lethal options aren’t always effective, and hand-to-hand techniques give way too much of an advantage to the men due to weight and strength differences. Yet even the smallest of women can muster enough strength to pull a trigger. If they want to avoid difficulties with the criminal justice system, however, they need follow the same rules the guys have to follow. The video provided by The Daily Caller captures Brokaw saying a conversation cannot be held because of the emotional response of gun owners to gun control. We can’t have that conversation because it immediately becomes so emotional between the gun owners of the America, who are protected by the NRA, and other people saying there ought to be a more reasonable ground. I’m a gun owner. I don’t have one of the AR-15s. I don’t need them. But almost all my friends out there have that kind of weapon. Mr. Brokaw needs to understand a few points before providing commentary. Mr. Brokaw, you need to understand the reason there can be no conversation on gun control – it is because the law is clear. The Second Amendment of the Constitution for the united States of America recognizes and guarantees the right of every citizen to keep and bear arms, which cannot be infringed by the government. No ifs, ands, buts, or maybes. The only “emotional” argument comes from leftist, liberal, communist, Marxist, socialist individuals and Democrats who subscribe to the statist view that government is the grantor of individual unalienable rights or has the authority to regulate individual unalienable rights. Rights come from God, Mr. Brokaw, and precede any government, especially the united States government, which was formed by the people through the ratification of the Constitution for the united States of America. The Constitution conveys no rights to the people because the founders recognized rights existed prior to government and are given by God as stated in the Declaration of Independence. Rather, the Constitution limited government from infringing on the God-given individual unalienable rights of the people. Now, as far as the National Rifle Association (NRA) is concerned, it would help you tremendously, Mr. Brokaw, if you read about the founding of the NRA and its expansion into the areas of politics and legislation. For your information, the NRA does not protect the gun owners of America as much as you think the organization does. Any law enacted by Congress; any “rule, regulation, or policy” enacted by the unconstitutional Bureau of Alcohol, Tobacco, and Firearms (BATF); or, any “executive action” regarding firearms, is strictly prohibited by the Second Amendment’s “shall not be infringed” clause. Yet, the NRA supports certain Congressional legislation regarding firearms, such as HR 3668 and HR 38, the Concealed Carry Reciprocity Act of 2017, which is in violation of the Second Amendment. So, truly, Mr. Brokaw, the NRA is not “protecting” gun owners in America since the association is willing to “bend” for Congress to infringe upon the Second Amendment. As a gun owner, Mr. Brokaw, you should know there is never any “reasonable ground” when it comes to guns and gun control involving government, Democrats, or leftist, liberal, progressive, communist, socialist, Marxist individuals. It is “their way or the highway.” Moreover, it is already established that “government,” particularly the above-mentioned sect of the population, wants to be the only sect determining what is “reasonable.” But, the most important aspect that governs this entire situation is the type of government the people established. The united States is a constitutional republic whereby government protects individual God-given unalienable rights. This republic is not a democracy, whereby the majority rules; nor, is this government an aristocracy, whereby the elite rule. So, even if a “majority” wants to infringe on someone else’s God-given rights or the political elite, wealthy or news “celebrities” want to limit an individual right, it is the function of government to protect it. And, by the way, your guns locked up in a cabinet in Montana will do you no good should you need to defend yourself from criminals or a tyrannical government. Mr. Brokaw, you should know that an AR-15 is nothing more than a semi-automatic type of rifle. It is the different aesthetic appearance that “unnerves” some individuals. Because of your limited knowledge, semi-automatic is the firing of one projectile with each squeeze of the trigger. While no individual may “need” an AR-15 or another type of semi-automatic rifle, the issue is not need but “right” to possess firearms comparable to those used by government military. No, Mr. Brokaw, no one “needs” a tank either, but an individual has the “right” to possess one. Not to confuse you any more than you already are, Mr. Brokaw; but, the news media, which includes you, has done a fantastic job of misrepresenting, twisting, and fabricating information regarding the Constitution and the Bill of Rights. You people keep calling our government a “democracy” instead of a “republic” as the founders established. News media personalities are too interested in hearing what some lame brain celebrity or sports figure has to say about “government,” “politics,” and the Constitution than actually talking to someone that knows. You and your colleagues are guilty of fabricating “news” or perpetuating a falsehood, such as Russian interference in the 2016 presidential election. After that tidbit was proven false, news media “talking heads” and “Silicone Barbies” continued to dissect it, muse about it, analyze it and make predictions on future events amounting to “chewing on an issue til it loses its flavor then sticking it in your hair” as Vivianne Joan Abbott Walker said in The Divine Secrets of the Ya-Ya Sisterhood. Any “gun control” or “reasonable ground” regarding firearms always targets law-abiding citizens. The reason is that criminals will break the law, regardless. A criminal will not care about any unconstitutional law addressing firearms – these individuals will still find access to whatever they want. It isn’t law-abiding individuals that should worry anyone; it is the criminals. And, the only equalizer between those who observe the law and those who violate it is the right of the people to keep and bear arms. But, the Second Amendment’s main function is protecting the people against a tyrannical government, preserving all other God-given unalienable individual rights recognized and guaranteed in the Bill of Rights of the Constitution for the united States of America. Simply put, Mr. Brokaw, every member of both chambers of Congress should honor their oath of office to support, protect and defend the Constitution and stop with despotic and tyrannical legislation. For any law passed by Congress outside their constitutional authority is a usurpation; the people should treat it as such. These are all simple facts, Mr. Brokaw, relayed without any emotion. There is no need to be emotional when one is dealing in facts. And, if those of us who remind people like you of the facts become emotional, the main emotion is frustration – frustration that too many in this republic remain “stuck on stupid” or engage in “willful ignorance” to the point of being detrimental to freedom and liberty. Do us all a favor, Mr. Brokaw. Educate yourself on the Constitution, the Bill of Rights, and the Declaration of Independence before you spout off more misrepresentations, personal opinion, and/or twisting of the facts regarding firearms and firearm ownership. The continued propaganda peddled by you and the rest of the lamestream enemedia is old and stale; plus, it results in people who support the Constitution sounding like a broken record when it should not be necessary. First President to spend a trillion dollars on “shovel-ready” jobs when there was no such thing as “shovel-ready” jobs. First President to tell a CEO of a major corporation (Chrysler) to resign. First President to cancel the National Day of Prayer and to say that America is no longer a Christian nation. First President to tell a major manufacturing company in which state it is allowed to locate a factory. First President to actively try to bankrupt an American industry (coal). First President to surround himself with radical left wing anarchists. First President to golf more than 150 separate times in his five years in office. First President to hide his birth, medical, educational and travel records. First President to go on multiple “global apology tours” and concurrent “insult our friends” tours. First President to go on over 17 lavish vacations, in addition to date nights and Wednesday evening White House parties for his friends paid for by the taxpayers. First President to have personal servants (taxpayer funded) for his wife. First President to fly in a personal trainer from Chicago at least once a week at taxpayer expense. First President to side with a foreign nation over one of the American 50 states (Mexico vs Arizona). First president to allow Iran to inspect their own facilities. First president to have blood on his hands from Benghazi to the assassinations of several police officers. First president to facilitate the Iranians to acquire nuclear weapons. First president to light up the White House in rainbow colors to honor men that lust after other men’s rear ends. First president to put young children in danger by forcing states to allow men in women’s restroom and showers. First president to marry a man. First president to smoke crack cocaine in the White House. I could go on for days but you get the point. How is this hope and change’ working out for you? LIKE OUR GOOD FRIENDS AT EXTREMELY PISSED OFF RIGHT WINGERS ON FACEBOOK! CLICK HERE! 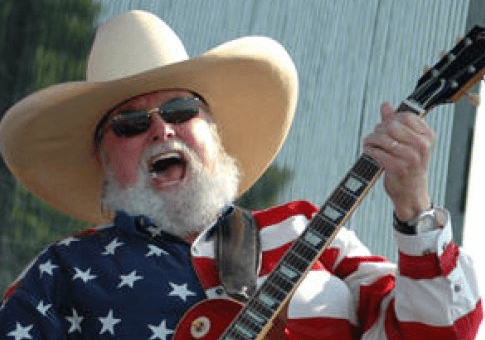 Country singer Charlie Daniels penned an open letter to Sen. Chuck Schumer (D., N.Y.) saying the Senate minority leader does not have “one drop of happiness” in his life and that he has “opened Pandora’s box” by going after President Donald Trump. Daniels, who is known for the hit song “The Devil Went Down to Georgia,” wrote a letter published by CNS News criticizing Schumer for having what Daniels suggested was a blind allegiance to the Democratic party. Daniels acknowledged Schumer must have been disappointed when Hillary Clinton lost the election to Trump. But Daniels then said Schumer has forgotten about the working people and the empty factories, and has taken advantage of inner cities with empty promises. The country singer castigated Schumer and the Democratic party for blaming Russia for their presidential loss. “Instead of looking inward at the real cause for your party’s loss, you had to find a scapegoat, and if it hadn’t been Russia, it would have been something else,” Daniels wrote. He then asked Schumer whether he honestly believed that Trump colluded with Russian President Vladimir Putin. “Will you lay your hand on a Holy Bible and tell America that you believe in your heart that Donald Trump has actually colluded with Vladimir Putin and the Russian government to the detriment of the United States of America?” Daniels asked before he guessed that Schumer’s special council would only come up with superficial answers. Daniels wrote that Schumer has “opened Pandora’s Box and thrown away the lid,” and asked Schumer questions regarding scandals that have plagued Democrats. Daniels cited issues including Hillary Clinton signing off on allowing a Russian agency to purchase a company holding up to 20 percent of America’s uranium production capacity, Clinton’s email server and former top IRS official Lois Lerner pleading the 5th and retiring with full benefits. An open letter to Hollywood celebrities was floating around social media just after the Presidential election. I have no idea who the author is, but I liked the points they were making. During this last election cycle, Hillary called out her liberal Hollywood elite friends en masse to help her campaign. She had to because that woman is so boring! What I can’t wrap my head around is why Hollywood celebrities are stupid enough to comment on politics? I know people who won’t see a Matt Damion movie because Matthew continues to insult them with his leftist dribble. Think of all the celebrities who called Trump and his supporters racist, sexist, and xenophobes! I’m sure they will remember those moments fondly. Think of that the next time your movie bombs or no one buys one of your songs. Doesn’t anyone remember the Dixie Chicks? It is my hope that the folks mentioned above will get it. But I doubt they will. I’ve taken the letter and reworked it to my style. So here we go. It’s time to wake up now. Get this! The only reason you exist is for my entertainment. Some of you are beautiful. Some of you can deliver a line with such conviction that you bring tears to my eyes. Some of you are so convincing that you scare the crap out of me. And others are so funny you can make me laugh uncontrollably. But you all have one thing in common. You only exist and have a place in my world to entertain me. That’s it. Nothing else! You make your living pretending to be someone else. You play dress-up like a 5-year-old. Your world is a make believe world. It is not real. It doesn’t exist. You live for the camera while the rest of us live in the real world. Your entire existence depends on my patronage. I crank the organ grinder, and you dance. Therefore, I don’t care where you stand on issues. Honestly, your opinion means nothing to me. Just because you had a lead role in a movie about prostitution doesn’t mean you know what it’s like to be a prostitute. Your view matters far less to me than that of a someone living in Timbuktu. Believe me or not, the hard truth is that you aren’t real. I turn off my TV or shut down my computer, and you cease to exist. Once I am done with you, I go back to the real world until I want you to entertain me again. I don’t care that you think BP executives deserve the death penalty. I don’t care what you think about the environment. I don’t care if you believe fracking is bad. I don’t care if you call for more gun control. I don’t care if you believe in catastrophic human-induced global warming. And I could care less that you supported Hillary for President. Get back into your bubble. I’ll let you know when I’m in the mood for something pretty or scary or funny. And one other thing. What was with all this “I’ll leave the country if Donald Trump wins”? Don’t you know how stupid that made you sound? What did you think my reaction was going to be? I better not vote for Trump or we’ll lose Whoopi Goldberg? Al Sharpton? Amy Schumer? Leave. I don’t care! And don’t let the door hit you in the a** on your way out. Make me laugh. Make me cry. Even scare me. But realize this, the only words of yours that matter is scripted — just like your pathetic little lives. I may agree with some of you from time to time, but in the final analysis, it doesn’t matter. In my world, you exist solely for my entertainment. So, shut your pie hole and dance, monkey, DANCE!